Bigatt B&B is a 5 minutes walk from the railway station of Vanzago and eight minutes train to Rho Fiera Milano EXPO 2015 station or 20 minutes direct train ride to downtown Milan. Alternatively, along the highway SS 33 of Sempione, Rho Fiera Milano (Rho Fair) and EXPO Milano 2015 are a 15 minute drive, whilst for FieraMilanoCity it takes 20 minutes. The picturesque seaside villages of Liguria region (the world famous “Cinque Terre“), by car or train in 2-3 hrs. The “Tangenziale Ovest” of Milan is only a few minutes from Vanzago, as well as the Milano-Laghi (A8 and A9) and the Milan-Venice (A4). Through Tangenziale Ovest you can then reach the Autostrada del Sole (A1). Vanzago is on the S5 line of “Trenord” suburban lines. The S5 is the main and most convenient gateway to the city of Milan and the area of Fiera Milano Rho / Expo Milano 2015. The frequent service together with the new comfortable trains make it the best way to reach top destinations. The S5 line is connected directly to all Milan metro lines (M1, M2, M3, M5), to the Malpensa Express and other suburban lines (S1-S13) of Trenord. 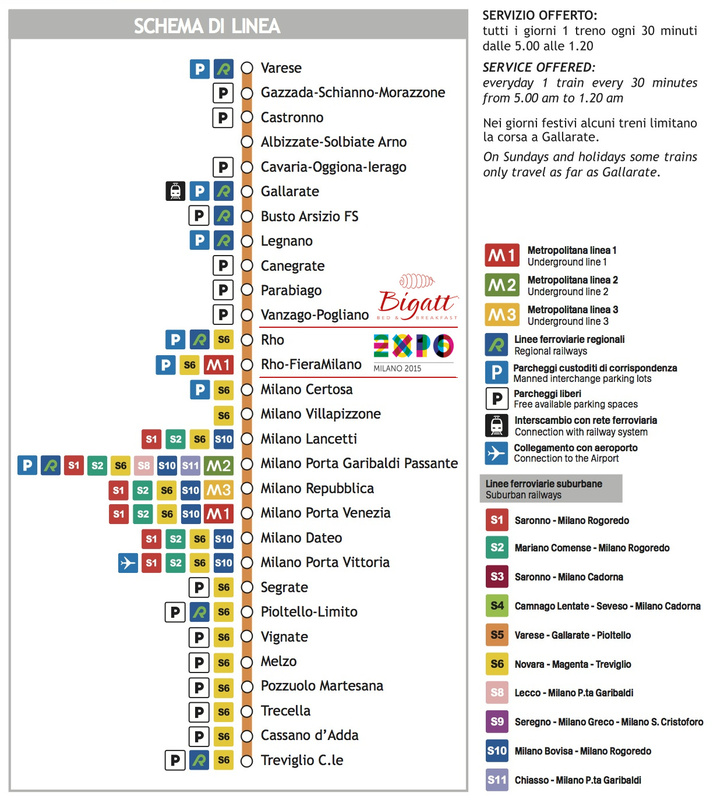 Besides Milan Pta Garibaldi the S5 train also stops at Milano Repubblica, Milano Pta Venezia and Dateo; these stations are only two minutes from each other, making it possible to directly reach the areas of Milano Centrale, Buenos Aires and the connection to Linate airport and Malpensa Airports. The center of Milan (Piazza Duomo) is easily reached using the S5 line for two stops to Rho Fiera Milano Expo 2015 with connection to subway line 1 (red line) to Duomo station.